In the middle of the 18th century, three out of one hundred people on the planet lived in cities. According to a recent population report for the United Nations’ Department of Economic and Social Affairs, by 2050, 66 percent of us will be urbanites. The forecast also predicts a dramatic upswing in the number of megacities around the world. The province of Ontario seems hell bent on adding to that list. It has made noises recently about creating a supercity in Peel region, combining Mississauga, Brampton and Caledon. The City of Peel (or whatever name is settled upon) would be the third largest in Canada, and in geographical terms, it would dwarf Toronto. Queen’s Park is signalling the same, on a sliding scale, in regions like Waterloo and Niagara and others across the province where the PC government is currently reviewing the possibility of amalgamating smaller cities under one municipality, just like the amalgamation of Toronto two decades ago. The goal (or the argument being made) is the need to find efficiencies, to cut down on the costs of providing services. It wants to eliminate what it sees as idiotic duality – the duplication of services, both fiscally and politically. Case in point: The Region of Peel. Do we really need a fourth tier of government? Why do some of our local politicians get double pay when serving two jurisdictions? And why do bureaucratic processes, which by definition are already bureaucratic, need to go through two layers of assessments and approvals, so, for example, a planning application in Mississauga, after clearing all the hurdles there, might be sent for much of the same at the Region of Peel? Ontario’s Premier Doug Ford has already shown a willingness to be bold, and act without public consultation. After winning the premiership last June, he did an Edward Scissorhands and sliced Toronto city council in half. The move sent shock waves through the body politic because it was not discussed during the election and came after zero consultation with stakeholders. Even as reverberations from that move echo out, Ford is at it again. The province has employed two municipal governance gurus, Michael Fenn (ex-Metrolinx executive), and Ken Seiling (former long-time chair of Waterloo Region), to conduct interviews across Ontario, audit the info, and produce a report on the future of regional government. It’s scheduled to be released later this summer or early in the fall. The Pointer has it from good sources that the decision might have already been made and the report (which will not be issued to the public) is merely window dressing – a chance for Ford to cherry-pick the findings to justify future action. The chop job in Toronto proves he wants any extra government cut to the bone, then to the marrow. Is the movement to create megacities an unstoppable force? According to one high-level source at Brampton city hall, staff are already bracing for the inevitable – the elimination of our region, and perhaps the creation of a megacity. The push for oneness (city, mayor, council, and staff) sounds fiscally prudent and hopes to score the maximum return from tax dollars. If it does, it’s sure to find widespread support from battered taxpayers in the city. But before giving Ford a Machiavellian seal for his cunning, it has to be noted that the PCs have wandered down this pathway before. Remember the Common Sense Revolution under Mike Harris? In 1998, it annexed, merged, and amalgamated the surrounding municipalities in Toronto (Etobicoke, Scarborough, et al.) and created a megacity. The move was to “find efficiencies” and eventually taxpayers would get to dine out on “mammoth cost savings.” They never materialized. What did, was resentment over a loss of community. Steve Paikin, the long-time host of ‘The Agenda’ on TVO, said the move misfired so badly, the PCs didn’t win a single seat in Toronto until Ford swept into office last year. More numbers: it’s projected that by 2030, 65 per cent of Canadians will live in four major urban centres: The Greater Toronto Area (GTA), Montreal, Vancouver and Edmonton-Calgary. They’ll sit on only 0.3 per cent of Canada’s landmass. Those numbers line up with the UN report. If you thought sprawl had brought the GTA to a crawl over the past few years, wait until an estimated 3.7 million more move into our catch basin over the next generation. The Association of Municipalities of Ontario (AMO) said these numbers should chill residents in the GTA. In a 2017 report, it pointed to a huge gap in infrastructure needs at the municipal level, and said cities would have to increase property taxes by an unsustainable eight percent each year just to fill in or catch up. It wanted cities to get a 1 percent share of sales tax so they wouldn’t have to exhaust their already inadequate revenues, or keep cutting services. Brampton in particular, compared with other cities, relies on a disproportionate amount of funding from the property tax base, which pays for almost 70 percent of the city’s budget. In Toronto, with all the other revenue tools it enjoys, such as a land-transfer tax, the figure is slightly over 30 percent. When factoring the burden on residential property owners in Brampton, because of the city’s low commercial tax base, the reality is that homeowners here are swimming under a flood of increasing municipal costs for a bloated staffing budget, crumbling streets, rapidly rising demand for transit and desperately needed upgrades to aging infrastructure. Many homeowners in Brampton have told the city in a series of tele-townhalls they are waving the white flag, after a decade of sharp property tax hikes. They need help. Some cities around the world, where similar taxation structures between lower and higher levels of governments exist, feature unique revenue tools for municipalities, such as a portion of sales tax. New York City, and a few other larger American municipalities, even draw large revenue from income tax. Brampton Mayor Patrick Brown has told The Pointer he does not support enhanced revenue tools for the city that would effectively be another tax on residents. If more money is to flow into City Hall coffers, he wants it to come from the growth of the local economy and a balancing of the tax base, so that homeowners cover less of the burden, while an expanded commercial sector, which pays a higher rate, would lead to a healthier revenue base. Even more numbers: Canadians are some of the most taxed people on the planet. The average top marginal tax rate on wage income in Canada is 45.7 percent. Those living in big cities, also pay a hefty property tax. In Toronto, council recently approved a 3.58 percent hike. Mayor John Tory continues to complain about a system that burdens property owners, while the higher ups in Queen’s Park and Ottawa ignore his (and other mayors’) pleas to invest in cities, which are, he says, the “economic engine” of the country. When elected in 2015, the Liberals under Justin Trudeau promised to pour $60 billion extra in funding over 10 years to cover the costs of crumbling municipal infrastructure. The subsequent payout hasn’t lived up to expectations. There are currently 28 projects in Brampton, for example, receiving funding from Ottawa, but most are small, and tied to regional needs. Those projects represent $42 million from the federal government, nowhere close to what’s needed as the city faces a $246 million shortfall to pay for roads, upgrades to community centres, libraries, aging downtown infrastructure, its share of hospital expansion, transit expansion (including the city’s portion for enhancements around a planned LRT up Main Street), a share of a new university and Brampton’s part in providing affordable housing at the regional level. These and other infrastructure needs are the features of liveable, vibrant cities that we are willing to pay for. Right now, many Brampton taxpayers, who pay some of the highest municipal tax rates in the province, about 30-40 percent more than Toronto property owners, would probably say they’re not getting much bang for their buck. Despite the 28 projects, dozens of more pressing concerns mount, as major capital infrastructure is put on hold because the city simply can’t afford to pay for everything it desperately needs. City Hall estimates that the current $246 million infrastructure gap will widen to $743 million by 2027, at the current rate of neglect. Brampton is a house with a leaking roof, a crumbling foundation and a sinking driveway. Tory and other leaders, such as former Mississauga mayor Hazel McCallion, have for years made clear that the municipal property tax base came under siege when massive costs for things such as large transit capital projects and affordable housing began to be downloaded by higher levels of governments onto cities in the ‘90s. Imagine being told you have to build an addition to your house, doubling its size, and pay for the increased tax assessment, higher heating and cooling costs, all without any savings in your bank account and while your income remained the same. The result has seen areas of funding, such as affordable housing, largely ignored because cities such as Brampton simply can’t afford it. Meanwhile, across the country, the Liberals boast that 4,200 projects are all set to go, yet funding has yet to be doled out to cities desperately waiting for help. The Toronto-Waterloo Innovation Corridor is home to six million people, 30 percent of Canada’s university students, 250,000 tech workers, 60 percent of innovation activity, and the majority of the country’s corporate headquarters. Brampton is smack dab in the middle, a kind of Union Station. While surrounding cities are future-focused and feeding off the burgeoning tech boom, Brampton lags behind. Way behind. It has no all-day commuter rail transit, university, world-class hospital, any substantial high-tech companies, and none of the fine-grained development that makes a city both livable and attractive to outside investment. We’ve become the proverbial hole in this donut. Some might bristle at the thought of Brampton losing its identity after 166 years of history, but the so-called money saved from amalgamation is a powerful lure, and the vast majority of residents here are newbies anyway, with less of a foothold in the past and more in the future. While the onrush of people into cities continues, and the potential consolidation of communities in Ontario is in the offing, the beat must go on in Brampton. Brown, has a job to do as chair of the budget committee and is currently doing so through a series of phone-in town halls conducted to get public input. He wants to know what they want before the budget is delivered to council and voted on later this month. A survey through the tele-townhall process showed 68 percent of city residents prefer a tax freeze. Brown has been bold, and the city under his leadership is currently proposing a 0.8 percent increase on the city’s share of the 2019 property tax bill, a pittance compared to past budgets that over a recent five-year period featured an average increase of about five percent, on the city’s share of the property bill. When combined, the 0.8 percent proposed for the city this year, added to the approved regional tax hike (2.7 percent) and zero for the province’s education portion, and residents here will see a 1.4 percent jump in local taxes this year ($70 for the average house in Brampton) – if City Council passes the small proposed rate increase. Being a starchy conservative, the mayor has an inherent hatred for taxes. He prefers to keep it at zero, and says it will be in the future. In the meantime, Brampton has some catching up to do to make this city competitive with others across the province. To propose an easing off on taxes now is both brave and welcome. The mayor believes low tax rates prime the pump for inside and outside investment – and force cities to be more fiscally responsible. It’s the only way Brampton can jump off the merry-go-round and begin to revive its sagging business sector – where true revenue riches sit. By giving over to sprawl, and taxing its residents to the max, former councils never faced down a growing infrastructure gap that most recently reared its ugly head when the Downtown Reimagined plan (to fix our underground water problems and re-do our downtown streetscapes) was stopped after its choking costs were learned (the city has said the main reason for the temporary cancellation of the badly needed project is to study unknown water channels below the area where the work is to happen). Meanwhile, add it to the growing list of infrastructure needs that won’t be addressed anytime soon, as more and more projects get kicked down the road. This audit, already underway by consulting firm KPMG, no doubt has to include plans to reduce municipal labour costs, which, according to another third-party report by an outside auditor in 2015, are crippling the city’s budgets. Lofty words, and a sentiment shared by many. But are Queen’s Park and Ottawa listening? The Federation of Canadian Municipalities said in its Infrastructure Report Card released in 2016 that 35 percent of city assets in the province need attention. In Brampton, it’s even more acute with the Reimagined boondoggle and a disproportionate list of other deferred projects. So, where does Brampton go from here? Or in which direction does it look? The answer is north, to Ottawa. In case our five local MPs (all elected as Liberals; Raj Grewal was banished by the party and for some unexplained reason, rather than resigning as he originally promised following news of his severe gambling addiction, Grewal is currently sitting as an independent MP for Brampton East) didn’t notice, Brampton is the ninth largest city in Canada – and the second-fastest growing. Yet, as Brown points out, it is one of the most underserviced and overtaxed communities in Canada. The dribs and drabs of federal money for small projects aren’t enough to satisfy our needs. Sure, the feds sent $1.5 million this way to help with the environmental assessment of the proposed Riverwalk project, but those are mere pennies when we need dollars, mega-dollars. 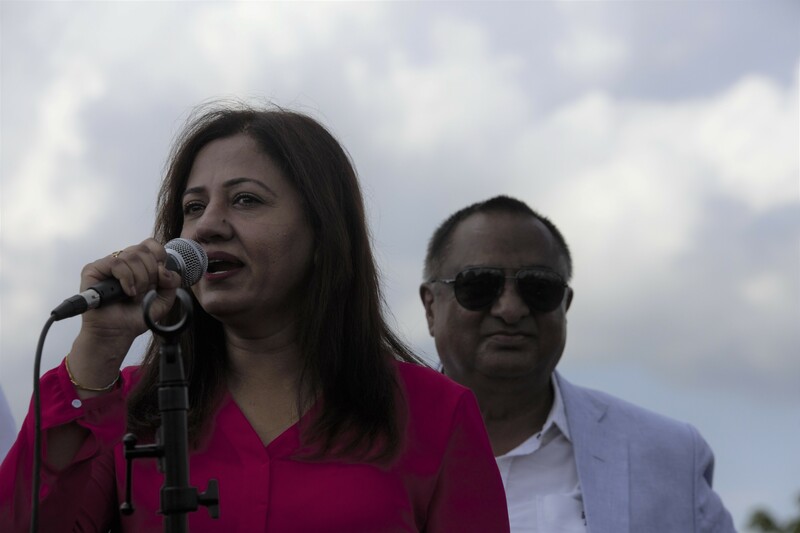 So, what are our five MPs – Kamal Khera (Brampton West), Ruby Sahota (North), Raj Grewal (East), Ramesh Sangha (Centre), and Sonia Sidhu (South) – doing to bring more federal funding into this city? 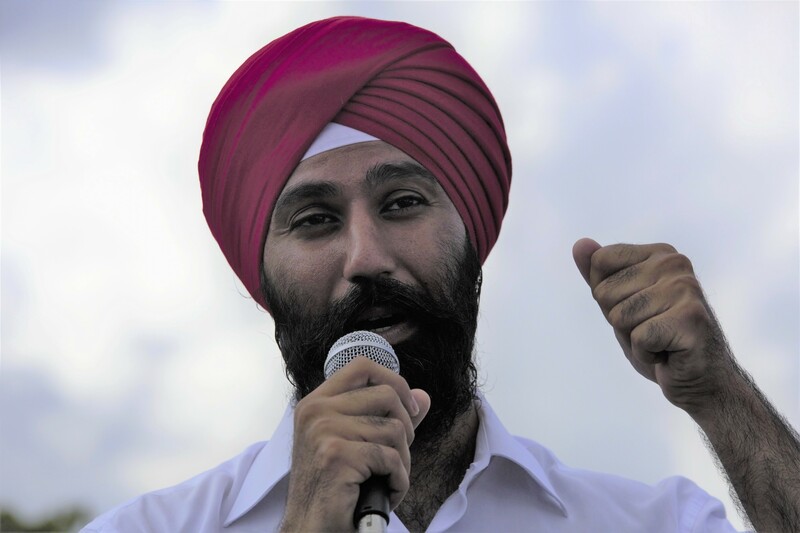 We all know about Grewal’s personal peccadillos which came to light over the past year – his million-dollar gambling debts that almost forced him from office. But he and his colleagues are taking another huge gamble if they think they are doing enough to help solve this city’s many shortcomings. Surely, there are ways the feds could fill in the gaps as the province comes up short on transit, university and hospital funding, not to mention all the other capital projects our residents go without, despite sharp increases to their taxes. They’ve had four years to get things done for constituents, and simply going by the numbers, they’ve failed. In the summer of 2015, when the Liberals stood firmly in third according to most election polls ahead of the federal vote, Trudeau and his team proposed an ambitious plan to invest in Canada – $60 billion for things like transit, green infrastructure and affordable housing. It was part of his successful calculation that big cities were the places where the election could be won. He had help. The Federation of Canadian Municipalities (FCM) pretty much laid out the plan for the Liberals, exhorting party leaders ahead of the election to start paying attention to the decay of services and infrastructure in the country’s large and mid-sized urban centres, the legacy that started when higher levels of government began to download major costs onto cities in the ‘90s. FCM challenged the future federal government to recognize that 60 percent of all public assets are owned by municipalities and that, ahead of the election, about $140 billion was needed to upgrade or replace aging municipal infrastructure, including water and wastewater systems, roads, bridges, buildings, recreational facilities and transit. The figure did not include the cost of expanding existing municipal infrastructure, which is a growing concern in high-growth communities such as Brampton. This reality is baked into the UN’s numbers, which project that in three decades 68 percent of the world’s population will live in cities. In a country like Canada, where rural infrastructure has long been a sharp focus of governments that have respected the political power of those in agribusiness and rural communities in general, it remains to be seen if Ottawa and Queen’s Park will be sophisticated enough to understand how the future economy needs to grow. Trudeau signalled such a calculation when his first budget added his pledged $60 billion for infrastructure such as transit, green initiatives and affordable housing, making a total federal commitment in 2016 of about $187 billion for infrastructure spending (when added to previous federal budget promises) over 12 years. The rubber is now literally hitting the roads in our cities as more and more people pour in. Brampton City Hall has every right to hold our provincial and federal politicians’ feet to the fire when it comes to bringing fiscal help to this city. Trudeau and his Liberals have failed to deliver on their promise. You can cut up the math in a million different ways, as politicians are experts in doing to make numbers suit their spin, but here’s a pretty basic assumption. Never mind the pre-existing amount of $127 billion. 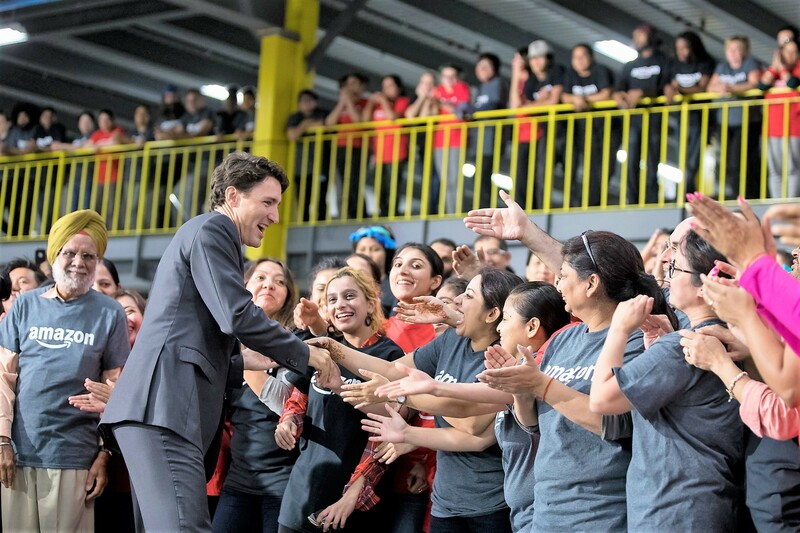 Over 12 years, if Brampton was to get a reasonable share of the $60 billion specifically pledged by Trudeau, while he wooed urban voters during the last election campaign, it would come to about $1.2 billion for Brampton, based on the city’s percentage of the overall Canadian population. So, over the past four years the city could have reasonably expected about $400 million. But let’s cut that in half, because it might take a few more years to ramp up and align City Hall with funding for specific areas Ottawa wants to focus on. That leaves $200 million, about five times what Brampton has actually received from the federal government over the past three plus years. And even that figure is inflated considering much of the money already sent, has flowed through the Region of Peel. Ford can also ignore our most pressing needs, like implementing Phase 2 of Peel Memorial’s expansion, but he’ll do so at his peril. He can rejig the political map all he wants, but people’s needs are borderless, and governments have to show they respond to taxpayers. Ottawa can leapfrog the province and invest directly in cities, and Brampton should be one its first targets. Yes, the Canadian Constitution gives the provinces exclusive control over cities (with a few exceptions) through The Municipal Act, but cities can’t survive on only 10 percent of all tax dollars collected – especially when Ottawa downloads services (like public housing) on us – while we own 60 percent of all public assets which make the entire economy work. The federal government can, however, legally impact municipalities if it exercises one of its exclusive powers under the Constitution. The potential for direct federal-municipal interaction is clear, and it revolves around the ability to spend. Some already get special treatment as ‘Charter Cities’ (Toronto, Vancouver, Winnipeg, Montreal and Saint John). They are governed by "stand alone" legislation. Winnipeg, for example, has power over remedial health and sanitary measures, and greater autonomy to raise money as an independent property assessment system and planning administration. The City is deemed unique because it needs to compete with nearby North American cities. It receives tools in areas such as taxation, incentives to business, areas of responsibility, etc. Brampton and Mississauga are limited to property taxes, user fees and license charges. Why? The disconnect between the growing size and power of cities, and the amount of money made available to them from the province and Ottawa, just doesn’t cut it anymore. Making do with limited resources works against the best interests of cities, and the whole country. Economic engines shouldn’t be allowed to stall out. We know Queen’s Park is conniving to create megacities, or some other iteration. And we know how the politicians there have mistreated Brampton in the past. So, it’s up to Ottawa and our five MPs to step it up and help fill the gap. Regardless of which candidate, incumbent or challenger, comes to your doorstep during the upcoming federal election campaign, we need to get their commitment in writing for what they pledge to do about Brampton’s fiscal troubles. 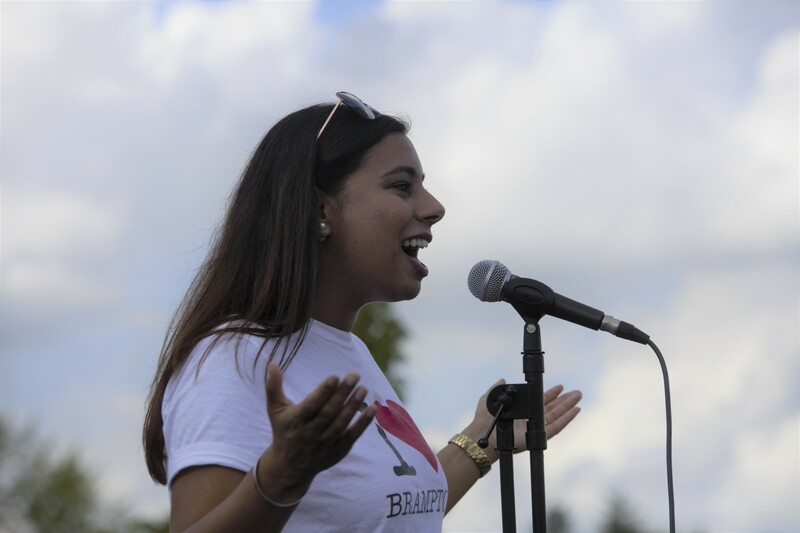 When asked by The Pointer what they have done to secure infrastructure funding for their city over the past three years, only one of Brampton’s five MPs responded, Sonia Sidhu. And her answer offered few specifics. She pointed to the list of 28 projects the Prime Minister’s Office already directed The Pointer to, and while failing to detail what she had done specifically to secure funding, she obliquely suggested the Ford provincial government is preventing the federal Liberals from delivering on certain infrastructure commitments because of its entanglements with trade unions. No details to support the claim were provided. Brampton has been stuck in the middle before, listening to Ottawa and Queen’s Park blame each other for their own shortcomings while taxpayers here continue waiting for help. One solution: send a clear message by voting out the five incumbents, and make it even clearer to any newly elected MP that they are being sent to Ottawa to represent Brampton. If they fail, suffer the consequence. Brown and his council can be lauded for easing the property owners’ tax burden, for now. But changing its game plan will only work if all the postponed projects get funded outside the property tax base. That means either growing the commercial base and other revenue streams, or demand a fair share from higher levels of government. If the city is left to go it alone, that means more bad news for property owners. They need support from the federal government. And what better time to ask for it than this year – as voters head to the polls in the fall. If our federal representatives are smart, they know taxpayers in Brampton have the hammer, and they’ve used it to help swing elections before. We might even hold the balance of power in the next vote. Candidates and political parties that ignore the needs and the power of cities, do so at their peril. Residential tax money has been a main ingredient baked into the revenue pie for years. We pay our federal taxes, just like everyone else. Now’s our time to eat a proper slice.